NFL season is back and the next several months will be consumed with Facebook posts, commercials, billboards, merchandise, and all things football. I am not a big football fan by any means but my spouse genuinely enjoys following a specific team and I like to watch with him. This past weekend, we were invited to join some friends for the home opening game. I had several observations throughout the day, but what struck me the most was watching the cheerleaders. I have never sat and really focused on them much. I couldn’t believe how little their uniforms were, how small their physique was, and how tanned and airbrushed they all looked. I don’t live in a hole, I know that cheerleaders exist and that they look a certain way; but it struck me how overly sexualized these women were. While the discussion misogyny in the NFL is a whole different animal, watching the girls this weekend got me wondering, how much does an NFL cheerleader make? What is the history behind cheerleading and the NFL? Do cheerleaders really add anything to the sport and why are they necessary? In 1954 the Baltimore Colts were the first NFL team to showcase cheerleaders on the sidelines. What value do they add? She didn’t let go. None of these women let go. Capt. Brenda Berkman searched relentlessly for her fellow firefighters. She still cries, to this day, about the 343 who died. She knew most of them. Officer Carey Policastro searched the pile of debris for weeks, exposing herself to horrible conditions. Then she dedicated herself to preparing for the next attack, training first responders around the country. There were women from the Salvation Army and Alcohol, Tobacco and Firearms, emergency medical technicians and clergy. There were plenty of female journalists there, too, including one of my producers, Rose Arce. She was featured in a book called “Women At Ground Zero” — along with all these first responders — written by Susan Hagen and Mary Carouba, two California authors who wanted to memorialize the accounts of the women. That book was published nearly 10 years ago and memory fades. I don’t think there was any task that was performed down there by men that were not performed by women. A few months ago one of the female firefighters from that book came to speak to the kindergarten class of my producer’s daughter. A little boy asked her how she could be a “fireman” if she was a girl. In answer to that question, we produced a documentary that premieres on Labor Day at 11 p.m. ET and PT. It is called “Beyond Bravery: The Women of 9/11.” It chronicles the heroics and hardship of these women as they have worked to repair our nation in the decade since the terrorist attacks. As one woman in the documentary says: “Little boys and little girls need to know” that women were there and served with courage. It was hard for the women to stand in that space where they fought so hard and lost so much. To this day when anyone looks out over ground zero, the question lingers: How do you fill this void? Tobin became a deputy inspector of the New York Police Department, helping it cope with a traumatized force that has turned over a third of its ranks since 9/11. She also answers calls at a hotline for cops under stress. Berkman gives tours of the Tribute WTC Visitor Center to recall the losses suffered that day. In my conversations with these women, I have heard their stories of how they sacrificed their lives to rebuilding, recovering and restoring hope. They want to fill that physical void of ground zero with a fitting tribute to the friends they lost. They want to see people working and living and smiling again. They are fighting to get good health care, to contribute to U.S. efforts at homeland security, to prepare the fire and police departments for potential attacks, and to help others repair their psyches after witnessing the worst possible. What makes the women different is that they fought for the jobs they had on September 11. Berkman sued the fire department, paving the way for women to join in 1982. 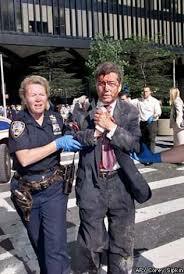 Regina Wilson, who was hired in the wake of that lawsuit, was a probationary officer on 9/11. She rode to the flaming towers that day and was one truck away from being killed. There is a memorial to firefighters near ground zero that has no identifiable women’s faces, but they were there. Many of the women felt slighted in the days following the attacks because they heard talk of a brotherhood of rescue workers that had performed heroically. The public forms images from big historic events like the terrorist attacks about who was heroic. When I asked her if she thinks the public knows that, she shook her head sadly. Yet their journey this past decade stands out because they are still fighting to bring women into the ranks. 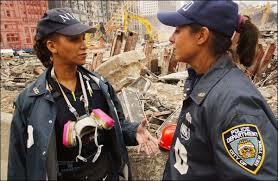 There are fewer female firefighters, and they are a smaller piece of the force than they were on 9/11. The police department is just 17% female, generations after the first woman joined. These are not unusual percentages in this country, although the U.S. Department of Homeland Security is one-third female after being formed in 2003. There is still resistance to the presence of women — and minorities — in the uniformed services, even as they actively recruit them. The New York fire department has for years been defending against a racial discrimination lawsuit. The women don’t dwell on the conflicts though. They prefer to recruit by example, by putting themselves out there in uniform and talking about their work. There is nothing like seeing a real-life hero and dreaming you could be one too. They don’t limit that PR campaign to women. That day on the platform, it was raining and gray and sad as cranes lifted beams in preparation for a September 11 unveiling, a test of whether a memorial can coexist with office towers. The women chatted about the height of the new towers, remembered tearfully where they were the day of the attack, and marveled at how much time had past. As queen of ancient Egypt, Cleopatra is one of the most famous female rulers in history. The last ruler of the Macedonian dynasty, the stories and myths surrounding Cleopatra’s tragic life inspired a number of books, movies and plays. 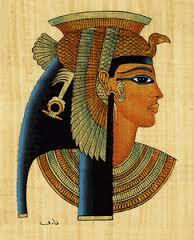 Cleopatra has become one of the most well known ancient Egyptian. Cleopatra’s family ruled Egypt for more than 100 years before she was born around 69 B.C. Cleopatra’s father was King Ptolemy XII. Little is known about Cleopatra’s mother, but some speculation presumes she may have been her father’s sister, Cleopatra V Tryphaena. 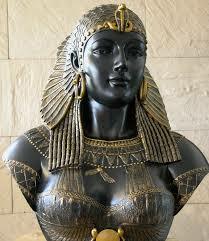 Debate also surrounds Cleopatra’s ethnicity. While it was believed for a long time that she was of Greek descent, some speculate that her lineage may have been black African. In 51 B.C., Ptolemy XII died, leaving the throne to 18-year-old Cleopatra and her brother, the 10-year-old Ptolemy XIII. It is likely that the two siblings married, as was customary at the time. Over the next few years Egypt struggled to face down a number of issues, from an unhealthy economy to floods to famine. Political turmoil also shaped this period. Soon after they assumed power, complications arose between Cleopatra and Ptolemy XIII. Eventually Cleopatra fled to Syria, where she assembled an army to defeat her rival in order to declare the throne for herself. In 48, she returned to Egypt with her military might and faced her brother at Pelusium, located on the empire’s eastern edge. Around this same time, the civil war between Julius Caesar and Pompey was consuming Rome. Pompey eventually sought refuge in Egypt, but on orders by Ptolemy, was killed. In pursuit of his rival, Julius Caesar followed Pompey into Egypt, where he met and eventually fell in love with Cleopatra. In Caesar, Cleopatra now had access to enough military muscle to dethrone her brother and solidify her grip on Egypt as sole ruler. Following Caesar’s defeat of Ptolemy’s forces at the Battle of the Nile, Caesar restored Cleopatra to the throne. Soon after, Ptolemy XIII fled and drowned in the Nile. 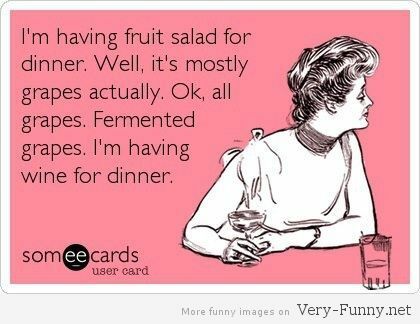 In 47 B.C. Cleopatra bore Caesar a son, whom she named Caesarion. However, Caesar never acknowledged the boy was his offspring, and historical debate continues over whether he was indeed his father. Cleopatra eventually followed Caesar back to Rome, but returned to Egypt in 44 B.C., following his assassination. In 41 B.C., Marc Antony, part of the Second Triumvirate that ruled Rome following the murder of Caesar, sent for Cleopatra so that she could answer questions about her allegiance to the empire’s fallen leader. Cleopatra agreed to his request and made a lavish entrance into the city of Tarsus. Captivated by her beauty and personality, Antony plunged into a love affair with Cleopatra that would eventually produce three children, including twins named Alexander Helios and Cleopatra Selene. Just like Caesar before him, Antony was embroiled in a battle over Rome’s control. His rival was Caesar’s own great-nephew, Gaius Octavius, also known as Octavian (who became the future Emperor Caesar Augustus). Gaius Octavius, along with Marcus Aemilius Lepidus, rounded out the Second Triumvirate. Antony, who presided over Rome’s eastern areas, detested Gaius Octavius and saw in Cleopatra the chance for financial and military support to secure his own rule over the empire. Cleopatra had her own motivations, as well. In exchange for her help, she sought the return of Egypt’s eastern empire, which included large areas of Lebanon and Syria. In the year 34 B.C., Antony returned with Cleopatra to Alexandria with a triumphant flair. Crowds swarmed to the Gymnasium to catch a glimpse of the couple seated on golden thrones that were elevated on silver platforms. Beside them sat their children. Antony antagonized his rival by declaring Caesarion as Caesar’s real son and legal heir, rather than Octavian, whom the revered Roman leader had adopted. Octavian, however, fought back, declaring he’d seized Antony’s will, and told the Roman people that Antony had turned over Roman possessions to Cleopatra and that there were plans to make Alexandria the Roman capital. In the year 31 B.C., Cleopatra and Antony combined armies to try to defeat Octavian in a raging sea battle at Actium, on Greece’s west coast. The clash, however, proved to be a costly defeat for the Egyptians, forcing Antony and Cleopatra to flee back to Egypt. Antony soon returned to the battlefield, where he was falsely informed that Cleopatra had died. Upon hearing the news, the despondent Roman leader committed suicide by stabbing himself. Cleopatra followed her lover’s demise by ending her life as well by being bitten by an Egyptian cobra. 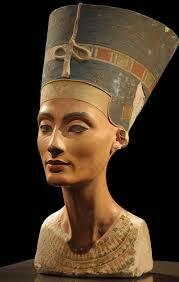 She died on August 12, 30 B.C. The two were buried together, as they had wished, and Egypt became a province of the Roman Empire. Back to Work: Holiday Weekend is Over!